Many of us teach students who are considered part of a specialized population, on 504 plans or IEPs, or whose second language is English. These populations add a different element to the classroom and getting them engaged in learning often requires a little more creativity than students in the general population. However, by implementing curriculum ideas meant for this more specialized population, and permitting my general population students to have access to them as well, I have found that my general population students have an easier time acquiring new material, and also perform better on a variety of assessments. Methodologies used to teach students of the specialized population include multi-modal approaches, scaffolding activities, various assessment styles, and the use of literacy tools in the classroom. Multi-modal approaches to teaching are a well-established idea. When I first started teaching high school nine years ago, it was one of the first things I accidentally started doing that was right! The main idea is to provide students with access to curriculum resources that uses different skills and different senses. 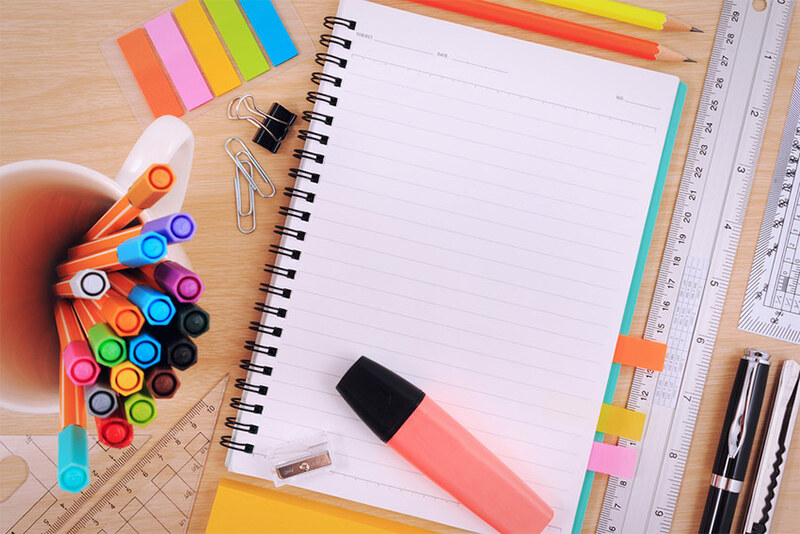 If you create a set of notes for students, be sure to include text that is bolded and in varying sizes for visual cues. In addition, try to include relevant visuals and videos of what is being described whenever possible. These are ways to help students who learn best through visuals or auditory stimulation. Labs are a great example of multi-modal activity. Not only are the students required to work in teams where those students who need a strong auditory stimulus get it, but also any tactile learners get hands-on experience in manipulating the information into drawings, diagrams, charts, tables, and/or graphs (see Figure 1). And, of course those students who need a visual stimulus get that by directly interacting with the material as well. Finally, I also try to offer multi-modal approaches for basic worksheets whenever possible. 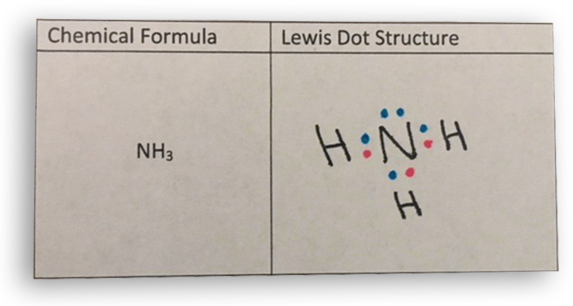 For example, in teaching Lewis Dot Diagrams, I will often offer students three “play” options: with paper, pencil, and erasers, with bingo chips they use to represent the movement of valence electrons and the formation of bonded compounds, or with markers to color-code valence electrons (see Figure 2). I also ask the students to work with partners and discuss their work as they go. By offering the students choice approaches and the ability to work with partners, I have taken the same activity and differentiated it by modality and by choice, creating a better learning experience for all of my students. First, I provide the students with an introduction to an idea either through a think-pair-share activity or through watching a short video and discussing it. Sometimes, I might even do a launch lab. I use these types of labs before students are taught about a particular concept, encouraging students to draw from prior knowledge or connect the concept to real-world experiences. 6 Types of Chemical Reactions 1. What is an example of a combustion reaction? Following this day, there are some more hands-on activities. Wherever possible, this next activity is a lab. Sometimes, we need to revert to doing dry labs where everything is on paper, but it is important when doing a dry lab for these activities to still utilize the mixed application of reading, speaking, drawing, or interpreting images, and organizing. If it’s a wet lab, it is important to make sure that students create their own hypotheses and test them. While they’re collecting evidence to prove or disprove their hypothetical claims, I encourage them to make drawings, take photos, and document their observations in tables. And, of course, it is important for them to draw conclusions and use their evidence to support their findings. Finally, I ALWAYS have a review day. Review day should have games. Sometimes, we use a software-based game where the students all have to interact with one another. Other times, the games are paper-based that I have either created or found on useful instructional websites. I also always make a review sheet that is just a different version of the quiz, with the content presented in a slightly different format or different questions is presented in the same format. Quizzes should NEVER be a surprise, and the means to answer the questions should not be either. They really should be meant to assess if the students know what they are doing. Depending on the timeframe, the students will either get time to work on the review sheets in class or at home for homework. By the end of a unit, the students have addressed the content in multiple ways, with multiple formats, progressing from easier and/or more concrete to more difficult and/or more abstract. When creating this kind of curriculum, it pays to have extra materials for students who need more assistance, and be open to taking away some materials for students who do not need the in-between steps to understand the content. For both parties, it prevents frustration, and functions as a form of differentiated instruction via individualizing the form of scaffolding the student receives. However, I must admit, it is easier when the variations occur at the class-level than the individual-level. offer essay-based or open-response-based exams for those students who have trouble with multiple-choice exams.4 Some students have a lot of trouble deciphering multiple-choice style exams. There are too many options and it can be too confusing, but an essay-style response or open response can let that student really shine and demonstrate what they do and do not know about your topic. For the first of the strategies listed above, reading aloud often helps for students who can understand auditory content at a higher level than written. Most EL students I have personally taught have fallen into this category. It also is very helpful for SPED students who are slower visual processors. For the second strategy, time and again, I have met students who can explain to me their answers beautifully, but are unable to write those same answers down. I found that functioning as their personal scribe fixes this problem. I have a student this year whose test scores increased by 30% because I have been writing down exactly what he says to me. For the fourth strategy, for students who can only function well if they converse with you in an oral exam. So far, I have only had to do this for a handful of students, and their test scores always markedly improved. In fact, we eventually added this technique into their IEP plans and MCAS accommodations. Finally, the fifth strategy is for students who have trouble processing written words in typical multiple-choice tests, or who have test-taking anxiety. I personally fall into this last category, and was always thrilled when my science teachers offered short-answer or open-response questions instead of multiple-choice assessments. Finally, chemistry class has a lot of reading and words! The vocabulary used in chemistry is remarkably overwhelming for a student learning English. To decrease the potential for frustration, it is important to make use of literacy tools. Some strategies have already been mentioned above (varying font type, size and color, using graphic organizers, assigning reading partners, etc. ), but there are a few others I have also used in class that are helpful. You can have students engage in activities where they have to practice summarizing what they are reading. This is an important higher-level thinking skill, but it also works to assist your readers in developing decoding skills for what is and what is not important. You can also have your students categorize the information they read. 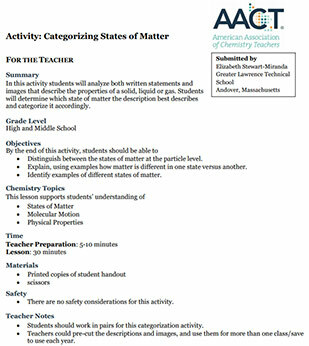 They can do this with Venn diagrams, categorization activities (see Categorizing States of Matter Activity), creating tables/charts, creating concept definition maps (where students map out connections of their new term to other known words), creating four-squares (Frayer models), or even writing argument essays. The important thing is that they have to apply their newly-read information to something almost immediately.1,2,3 In Massachusetts, where I live and work, we have a program called RETELL which offers many different skills to help teach EL students. But these exact same activities are GREAT for SPED students as well! So, I offer these to everyone. Teaching special populations is a rewarding experience. It takes time and effort — but overall, it creates a more interesting teaching experience and better-informed students who have more options to engage in their learning experience. DePierro, Marion. “Session 2 of RETELL Long Bridge Course” Presentation at Lowell High School, Lowell, MA, October 11, 2014. DePierro, Marion. “Session 4 of RETELL Long Bridge Course” Presentation at Lowell High School, Lowell, MA, October 25, 2014. Sedita, Joan. Key Three Routine Comprehension Strategy Instruction. (Sedita Learning Strategies, 2003). Elizabeth Stewart-Miranda is a past recipient of the 2016 North Shore Science Teacher of the Year award. She is a High School educator currently working at Greater Lawrence Technical School in Andover, Massachusetts. She has been in public school education for over nine years, with previous experience working in a college environment and one-on-one tutoring of school-aged children.